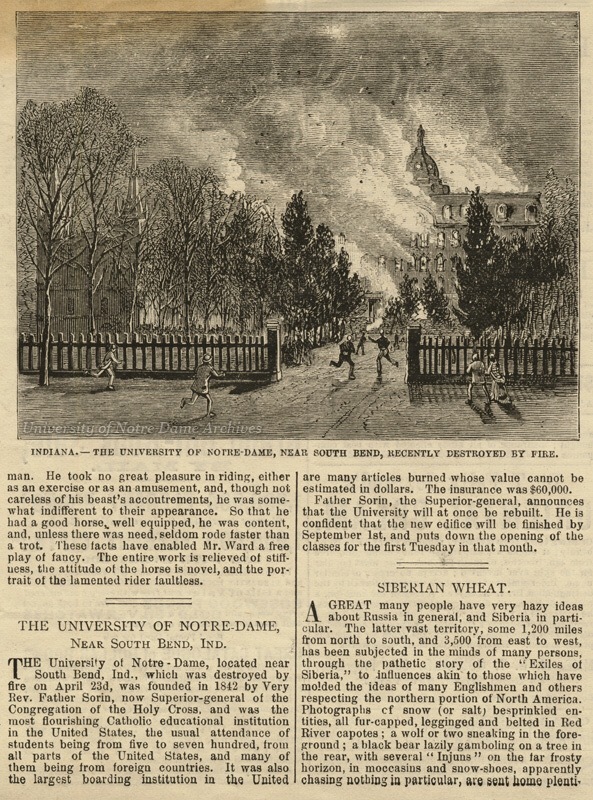 The great fire of 1879 is one of my favorite Notre Dame stories. On April 23, a great fire destroyed most of campus. It’s hard to imagine the feelings of students and faculty as the statue of Our Lady “plummeted” through the burning dome in the center of the original Main Building. If it were ALL gone, I should not give up. The fire was my fault. I came here as a young man and founded a university which I named after the Mother of God. Now she had to burn it to the ground to show me that I dreamed too small a dream. Tomorrow we will begin again and build it bigger, and when it is built, we will put a gold dome on top with a golden statue of the Mother of God so that everyone who comes this way will know to whom we owe whatever great future this place has. I think about this story a lot. And I think it has relevance as people, once again, give apocalyptic accounts of what America could or would be following this election, whatever side this comes from. I think it has relevance when we appear to lose in elections or culture wars or even our personal pursuits. We can give up. We can cave in. We can sit among the wreckage and mourn forever what was and will never again be. We can spend a lifetime figuring out who to blame and how to punish them. Or we can build again. And we can build bigger. If we do, the things the burn and destroy us can become the precious things of life, the things that embolden and awake us, that move us to a place of creativity not seen before. So to whatever destruction may come with 2016, I say: bring it on. I’m here to build. And I’ll do it again, and again, and again.